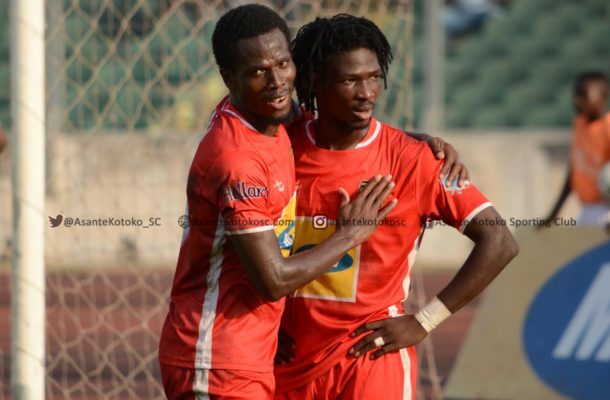 Ghana Premier League giants Asante Kotoko will look to exorcise the ghost of defeats away from home at the group stage of the second-tier continental club championship when they face El Hilal of Sudan in a Group C opener away in Omdurman. The ‘Porcupine Warriors’ will be buoyed by their 3-2 away win over Coton Sport in Yaounde at the previous round, as they seek to settle old scores with their Sudanese hosts. Call it familiar foes as both sides met in the 2004 edition of the competition with either winning at their fortress. Hilal beat Kotoko 2-0 in Omdurman before the Ghanaians responded with a 3-0 drubbing in Kumasi. That was the year history was made in the competition as two Ghanaian clubs, Hearts of Oak and Kotoko reached the final of the maiden edition, with the former annexing the trophy on penalties. Kotoko was back in the Group stage of the competition in the 2008 edition and again met a Sudanese opposition - El-Merreikh- but again suffered a 2-1 loss to the latter in Omdurman. Fast forward 2019 and Kotoko will come up against old foes Hilal, hoping to rewrite the history books this time. According to head coach, Charles Akonnor, his side are not under any form of pressure, and is raring to go. “We did our best against the previous two opponents, Kariobangi Sharks and Coton Sport, and we can only get better. Indeed at the beginning of the competition many doubted our abilities, but we are here now and looking to rewrite history. “Whatever it is that we can do, we will to the best of our abilities. For now, we are looking at taking it match by match, and keep improving. Hilal have in their midst a Ghanaian striker, Rahim Osumanu who is not alien to the Ghanaian game and could be the trump card for the Sudanese as they hope to pick their first major points of the Group stage on home soil. Zambian duo Zesco and Nkana will face off in the other Group C match in Ndola, also on Sunday.